Want to get back to nature without actually having to rough it? 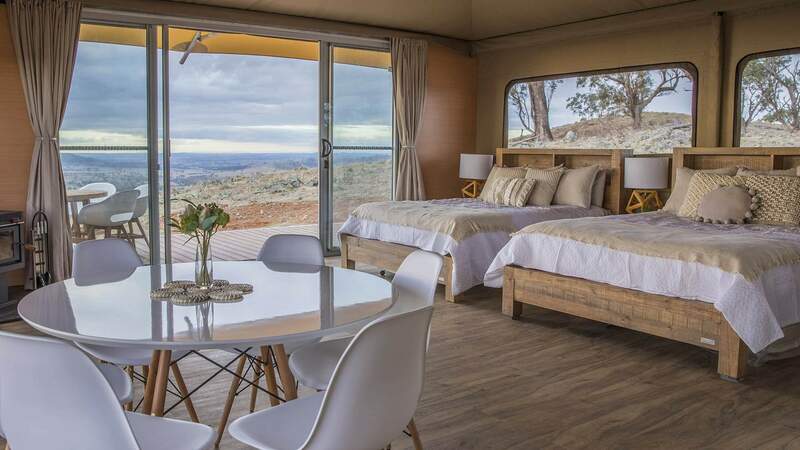 Lucky for you, you can now take in the rolling hills of Mudgee in New South Wales, all thanks to the region's first ever luxury glamping service. First opening in 2017, Sierra Escape is located 20 minutes drive from Mudgee's town centre and some 260 kilometres north-west of Sydney. It boasts spectacular views, and is home to wildlife including kangaroos, deer and a variety of native birds — so yeah, basically it's paradise. 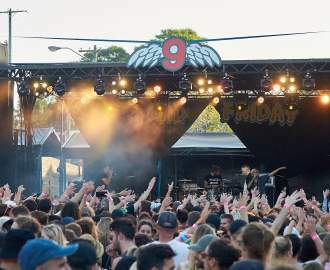 Campers clearly agree, with its decadent accommodation unsurprisingly proving popular, and the 280-acre property adding two new tents to cater to demand. While the site's original tent — if you can even call something this opulent a tent — is still going strong, its two newcomers kick things up a few notches. One sleeps seven in a space that features two queen beds, a single trundle and a second bedroom with a double bed. The other is a secluded hilltop getaway for two that comes with a complimentary bottle of local bubbles and local chocolate, and a breakfast pack. For $450 per night, groups staying in Dulili will also enjoy their own designer kitchen, wood fireplace, floor-to-ceiling windows, glass sliding doors, large indoor and outdoor dining tables, plus a firepit area and a bathroom with a shower and flushing toilet. Or, those wanting a romantic jaunt away from the big smoke will spend $550 per night for all of the above, as well as a king bed — naturally — and indoor and outdoor freestanding bathtubs. All three of Sierra Escape's tents, including the $290-per-night Carinya, are insulated for all seasons, and include outdoor areas where you can kick back and watch the sunset. The new tents are available to book from June 1.